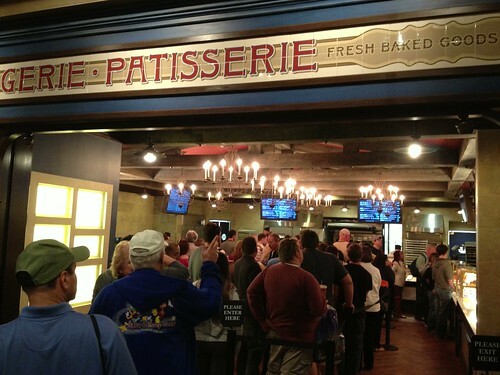 The new Boulangerie Patissierie, originally uploaded by Erin *~*~*. "Work rushes in to fill a void" and "If you build it, they will come" both come to mind. What used to be a hole in the wall with a handful of tables is now a BOOMING eatery in EPCOT’s France.